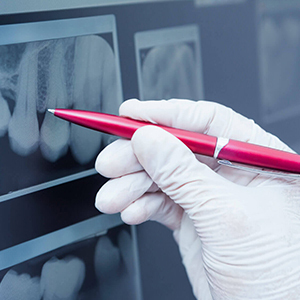 Technology and dentistry have gone hand-in-hand since the beginning, and as technology evolves faster and faster in the modern world, so does our level of care. Thanks to the latest advancements, Dr. Joy Todd and our team can treat you faster, safer, and with less discomfort. We’re continually training and educating ourselves to stay on the cutting-edge of dentistry. You can learn a little bit more about some of the tools we use every day below, and then you can come see them in person by contacting our office to schedule your next appointment. Wouldn’t it be great if you could actually see what your dentist is talking about? So much of dentistry from the patient’s perspective is abstract because you simply can’t see into your own mouth like they can. With our intraoral camera, that is no longer the case. 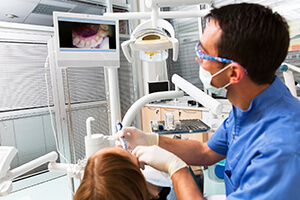 This small, handheld device will enable our team to not only get a better look at your mouth and gums, but they can also display the images on a chairside monitor so you can learn more about your own oral health and make more informed treatment decisions. 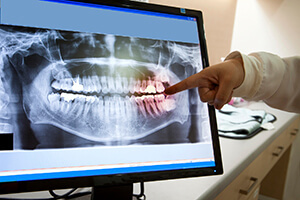 Traditional film-based x-rays are now a thing of the past thanks to digital x-rays. Conventional x-rays were consistently problematic because they took time to have the images developed, required toxic chemicals, and exposed our patients (and us!) to radiation. With digital x-rays, all of these issues are now solved. They can create images very quickly (which we can even show you on a chairside monitor), they don’t require harsh chemicals to be processed, and they expose our patients to 90% less radiation.